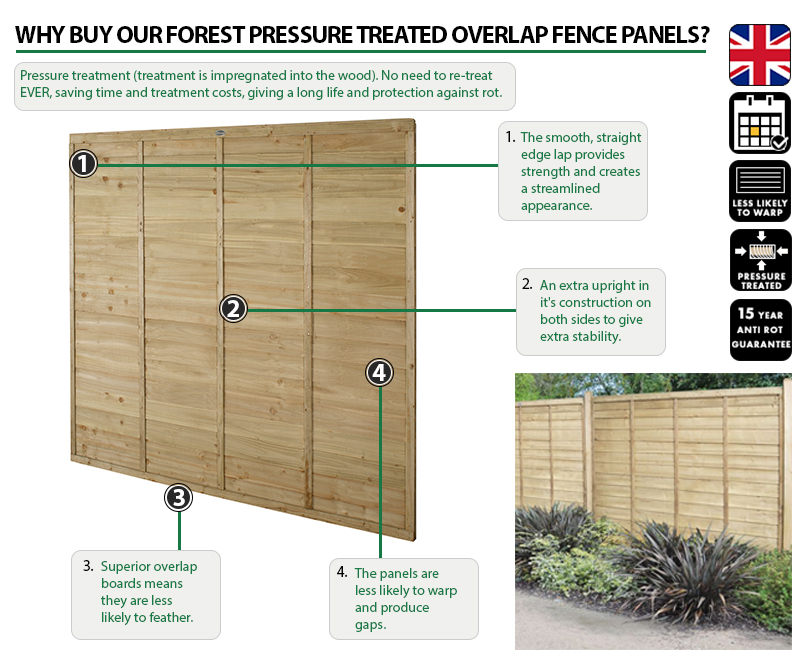 5ft Pressure Treated Fencing Panels, also known as Overlap Fence Panels, are the UK's most popular fencing panels. 5ft Pressure Treated Fencing Panels, also known as Overlap Fence Panels, are the UK's most popular fencing panels. Ideal for garden boundaries, these fence panels offer an economic screening solution. This super strong version, has an extra upright in it's construction on both sides to give extra stability. As it is manufactured from pressure treated timber, a gravel board is not required.